Now that so much media is electronic or digital, it’s hard to imagine there was ever a time before print media was invented. The earliest civilizations only had oral communication. If they had news to tell, they ran to the nearest person to spread the word to others, who each did the same until everyone had heard the news. Then people began to write down their news in picture form and then in crude languages where symbols stood for words and letters. It took the inventions of paper and the printing press for print media to come into regular use. Once it did, there was no turning back. At first, news was chiseled in stone. Later, it was handwritten and posted in a public area much like today’s posters or read from a scroll by a town crier. As early as 131 B.C., the ancient Roman government produced daily news sheets and informed the public in this way. 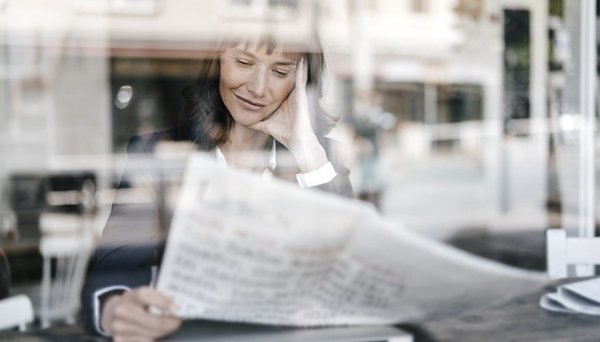 Through the years, print media evolved to include entertainment, educational topics and more, instead of only conveying news. About 100 years later, China’s Bi Sheng invented movable type by carving individual characters onto small blocks of clay. Each small block was hardened by fire to become a porcelain piece that could be used again and again. The pieces were glued to iron plates to make a page. Using each page hundreds or thousands of times, he could mass produce news quickly. When the printing was done, the pieces were removed from the plates to be used again to make other pages. Bi Sheng’s invention had limited success in China because the Chinese alphabet’s characters are so large that they were difficult to put on movable type. His idea spread all over the world, however, and others adapted it using other materials such as wood, tin and copper. Still, the process was too cumbersome to mass produce a newspaper for the public. The first successful newspaper in America was the Boston News-Letter in 1702. Its publisher, John Campbell, was careful not to publish any criticisms of the government. When Ben Franklin’s brother was arrested in 1722 for publishing news critical of the government, he turned over his paper, The New England Courant, to Ben. Next Next post: Types of Print Media?